Three weeks ago, my inbox lit up with giddy excitement on receiving an email from Molly Hurford – cyclist, author, turtle owner, comic book nerd and, most notably, contributing writer for Bicycling Magazine. We talked. She wrote. And on Sunday, her equally rad article traipsed across my Twitter feed on the heels of my GPS stegosaurus. 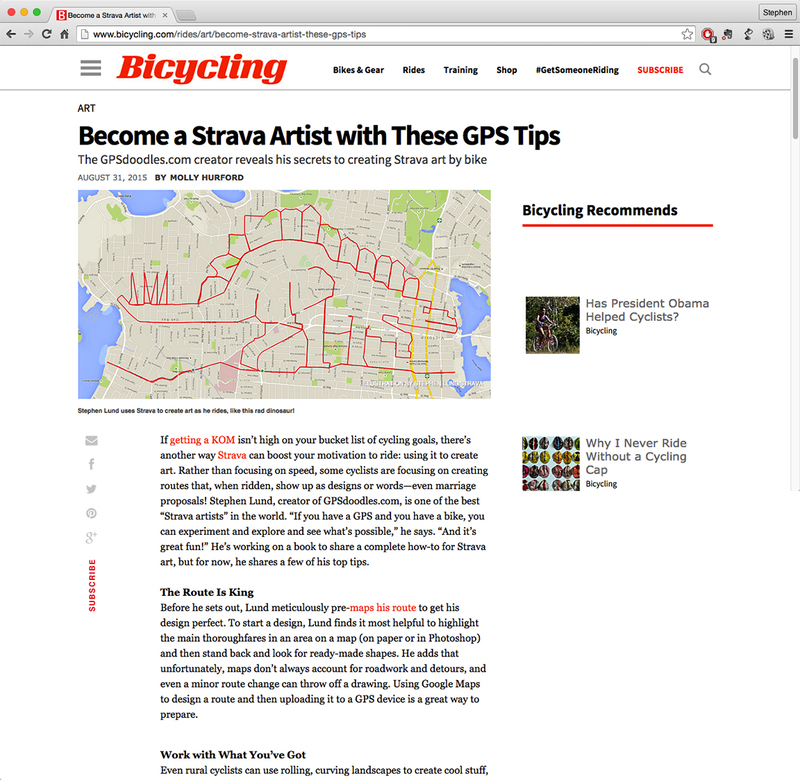 This entry was posted in bike-writing, gps art, how to, News & media, tips & tricks and tagged bicycling, Bicycling Magazine, creativity, cycling, DIY, garmin, gps, gps art, how to, Molly Hurford, strava, strava art, victoria bc. Bookmark the permalink.